i walked down this morning in park near my house, accompany my mom. i told her last night, “Lets have a walk tomorrow morning“. but she woke me up this morning as i was still so sleepy. i brushed my teeth and washed my face, change cloth and go. 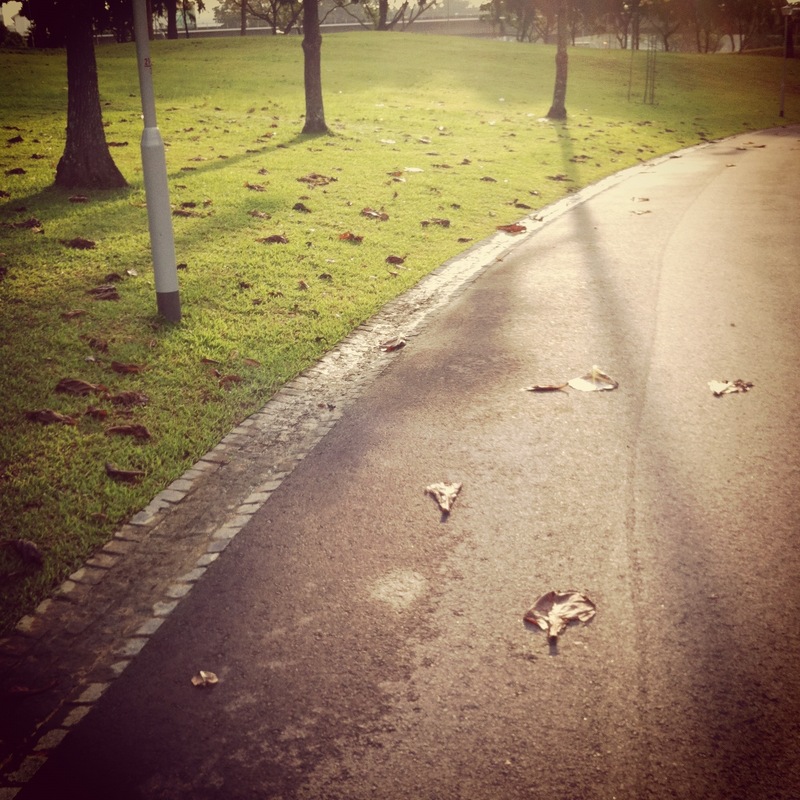 its always nice to have a walk in the morning, breath a fresh air & feel a warm morning sun. i have not done this for quiet sometimes. as i walked i was thinking about what are things i have compromise in my health department. past few months i have been hit with many unwanted sicks, pains, tiredness and headaches sometimes. i have taken many of my medical leave. almost 5 years ago when i started to join in this company (February after chinese new year). for over two years plus i never took any single medical leave. only when i feel tired, i took leave to rest. never really sick i guess, what a record! these things give me an idea about next year resolution. give me an idea to get back in shape and also about things i want to do next year (2012 +) but i would not want to postponed it till next year. this morning was the start of these un-alignments. health department have not been doing really good recently, for the pass few months obviously (this year). i demanded them to send a complaint letter to me to aligned what i just take everything for granted, i am not young as 20 years old, even all excitements inside is still there but body is catching up. still strong but not as strong as 10 years ago. i expect & will do. \ should not eat too much! take just a nice portion and be reminded about your tummy. it is not for the physical appearance but for health. \ rest well, have a good and early sleep time, consistency in quality and hours of rest. too much rest is doing no good for your body too. just enough is good. somehow your body will know it. \ food to consumed. eat anything once a week but control many days in a week with a balance portion, add some fruits. \ excise routine. it has to be once a week or more, for jogging, get the salty sweat out of your body and get refresh of your mind. thats gonna help in your concentration. that will be my motivation.